Wayne Allen Tolman, 79 passed away peacefully surrounded by his family Saturday, Jan 13, 2018. He was born August 1, 1938 in South Gate, California to Newell and Dora Tolman. He was the youngest of 4 boys. A life-long member of the Church of Jesus Christ of Latter-day Saints, he served a 2-year mission in Guatemala/El Salvador and upon his return, he married the love of his life, the light of his love Earlene Fogg in the Los Angeles Temple. After graduating from Brigham Young University with a BS in Political Science, he went on to obtain his MSW from Fresno State University. In 1971 he began working for LDS Family Services as a LCSW in CA, ID, OH, and AK and retired after 33+ years of loyal service. He held various church callings and also served 3 missions at the Los Angeles, Columbus, and Mesa temples. In 2002 Wayne and Earlene were called to serve a 2-year mission as a couple in the Puerto Rico, San Juan Mission and then again in 2010 in Anchorage, AK. He accepted multiple appointments to assist on several state initiatives including the Vietnam Refugee Placement Program as well as the Governor’s Adoption Counsel. He also served with the Red Cross Disaster Relief team and supported their efforts in many different areas including; earthquake in Guatemala, California, and Mexico, Mt. St. Helen’s, and 9/11 supervising the Washington DC emergency crisis call center. 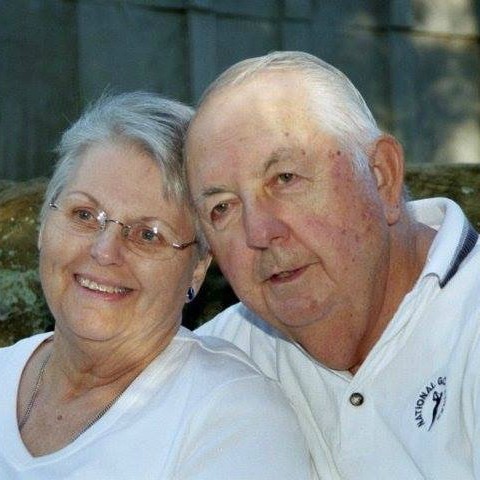 Wayne enjoyed golfing, shooting, hunting and cheering on his favorite football and baseball teams. He had a dry sense of humor and would take every opportunity to tell a joke to get a laugh or a smile from anyone who would listen. Most important to him was his family. He loved his 3 brothers; Don, Marlow and Lynn and he often referred to them as his “Three Hero’s.” With over 40 first cousins, family reunions were full of stories of fun adventures and lots of laughs. Wayne is preceded death by his mother and father as well as his brother’s Marlow and Lynn. He is survived by his spouse of 56 years, Earlene, and their 6 children, and his brother Don. Funeral services will be held Friday, January 19, 2018, at 11 AM, with a visitation at 10 AM, at the LDS Mesa North Stake Center, located at 933 E. Brown Road, Mesa, AZ. Burial will be at the Annabella City Cemetery, Annabella, Utah. Andy that is an outstanding write up, I’m amazed at all the missions that he did and those that he did with your mom as well! He was an excellent teacher and friend. We were sad when they left Ohio. Earlene, I am so sorry to hear of Wayne’s passing. I hope that you and your family will be comforted at this time. Earlene and Family. We are so sorry for the loss of my 1st cousin Wayne. I have always admired Wayne. and felt a special bond with him. When he would come up to Grandpa Tolmans farm in Bountiful we would work togeather doing what ever Grandpa Tolman wanted us to do. We hand a lot of fun. And the Family reunions were very special with all the cousins there. We were a very close family back then, and then everyone started going there owe way. That’s the way id should be. He would always look me up when he was in Salt Lake City when he had business with the L D S Church. He new I worked for the Church and we would do lunch. Anyway I loved Wayne and also his wonderful wife. She and I kept in touch over the years by email and let me know what was going on with their Family. Our prayers and thoughts are with you. We know the Savior loves each one of you. And will be there to comfort you at this time. Hold on to the many memories you have they will sustain you in the coming days months and years. “We love you very much”. I’m so sorry I cant be with you because of health problems. Thanks for asking me to be with you at the graveside service. Yours truly Ray and Janice Tolman. Such a loving soul. Those who knew him were most blessed. May the comfort only Christ can give be with his family and friends at this time. Penny and I send our love and best wishes to you and your family at Waynes’ passing. From a personal point of view, I remember Wayne, his brothers and parents so very well. We were mostly stuck working on the farm and so didn’t have a chance to visit our cousins very much. But I remember well those times the Tolmans were to our home or we had opportunity to associate with them. The Tolmans were the “life of the party,” with their humor and fun and friendly personalities. The one time that I visited Southern California to the Tolman home, resulted in a story we still talk about. Dora, served watermelon to all of us, and my pattern was to eat all around the heart of it and then save the best for last. Just as I had eaten the outside, Dora, with a fork, snatched the center of my watermelon and ate it before I could do anything about it (and what could I do anyway). There was always fun, excitement and great association with the Tolmans. I also remember Wayne’s work with LDS Family Services. He was kind, compassionate and wise as he counseled with and assisted individuals in need. He had a heart for his work and always worked diligently to do his best. We cant forget Wayne and his brothers doing “Dear Old Neel” What a hoot. They loved doing that. We always had a good laugh when they did it. I wish I could remember the words to that. My love to you all again. Wayne was my first clinical supervisor at LDS Family Services in Colton, CA. He was my mentor and taught me many counseling techniques that I still use today. He was the creator of the “S.O.T.A.” group (Survivors of Traumatic Abuse”) and I had the privilege of working alongside him facilitating these groups as his student. I eventually began running the groups under Wayne’s supervision. He was a master with helping people recover from traumatic experiences in addition to many other social/emotional problems. Thank you Wayne for teaching me to work hard but also to have fun and enjoy life. I recall an experience with Wayne when I was first hired on at LDS Family Services. The first day I arrived at my office I opened the office door to discover the office floor covered in shredded paper. It must have been 6″ deep. I was finding pieces of paper in various places for several months thanks to Wayne the “funmaker.” I envision Wayne rejoicing as he is reuniting with loved ones but also missing his dear family. I will continue to offer prayers for the Tolman family. So sorry to hear of his passing. We were blessed to know the Tolman family. Prayers are with you and your family during the difficult time. He was a very knd loving man. So sorry to hear of your precious loss. May you find some comfort in God’s word at John 11:11-14 and Revelations 21:3, 4. The Most High God understands your pain 1 Peter 5:7. I appreciated your husband, Earlene. He helped me when I lived in Dayton, Ohio. He so was such a kind and good counselor. Prayers for comfort and peace for you.